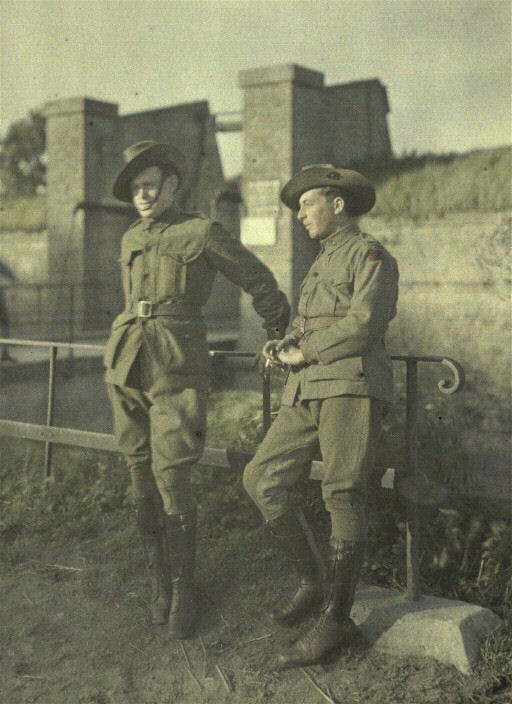 The Passion of Former Days: World War One... In Colour! 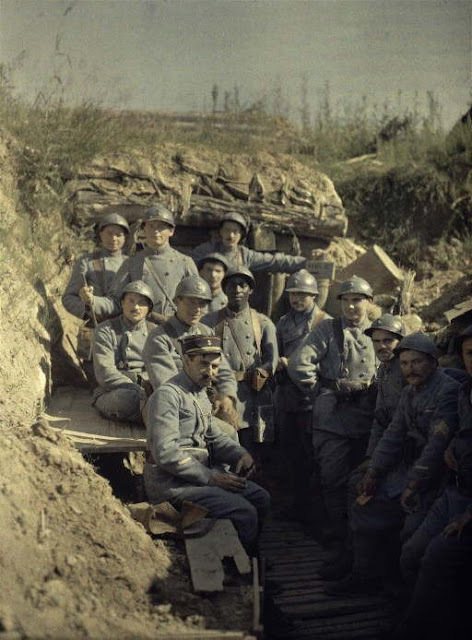 Who ever would have had any idea there were colour photographs of the First World War? It's striking enough to see colour from the Second! 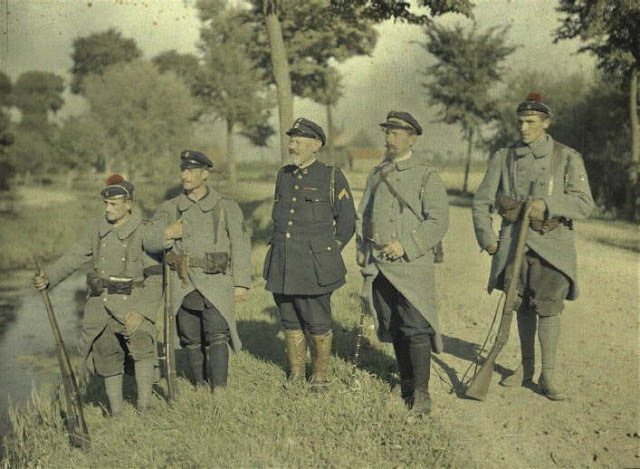 But, in the 1910s, colour photography was just beginning to be slightly more than an experiment, and a few photographers (almost all French) did in fact use it for wartime photographs. I'm still so amazed to see these photos-- the feel of a colour documentary photograph, as opposed to a black and white one, is so strikingly different. Silly as it may be, the colour makes it seem more real somehow, closer. 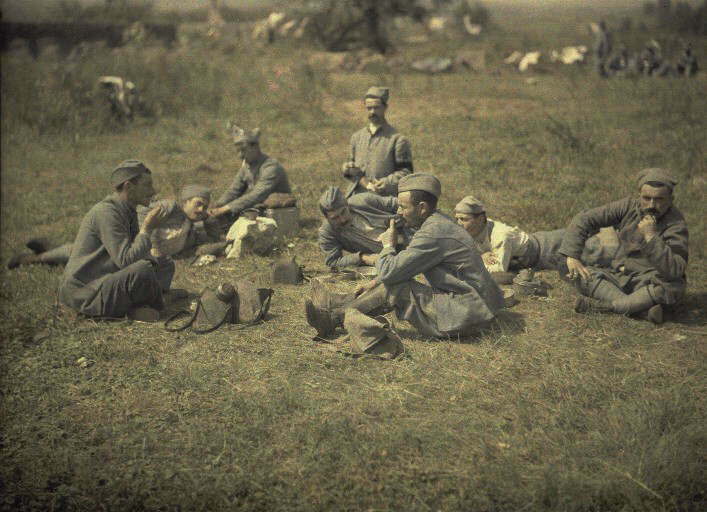 It reminds us the world around these people was just like ours, which makes the contrast in content all the starker. 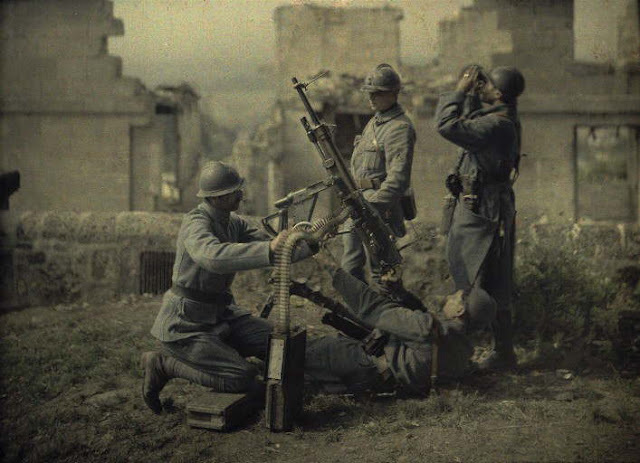 These photographs come originally from the French National Library, though I have collected and linked them from a site dedicated entirely to World War One Color Photographs, for ease (and because, I should note, these are now public domain images). All are from 1917. So, so striking, isn't it? Cool. 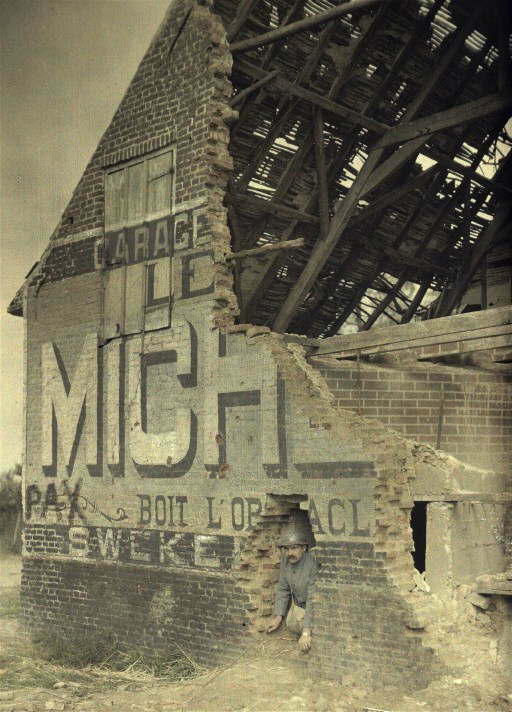 I don't think I have ever seen any colour photos of the the first world war. It makes the war look very different.